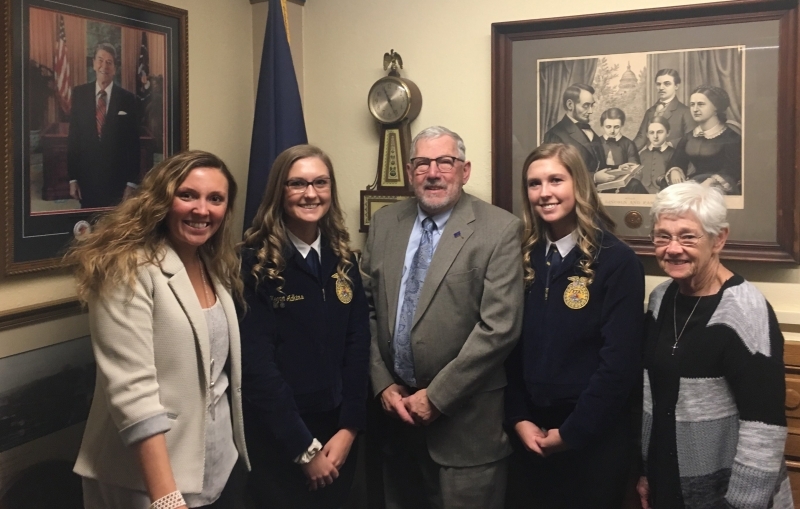 STATEHOUSE (March 12, 2019) – State Rep. Steve Davisson (R-Salem) recently welcomed local FFA students to the Statehouse where they served as pages. STATEHOUSE (March 11, 2019) — State Reps. Woody Burton (R-Whiteland) and John Young (R-Franklin) will host a public meeting on March 16, to discuss the progress of the legislative session. The 2019 legislative session crossed the halfway point, with 201 House bills and 218 Senate bills passing out of their original chambers. The House will now consider Senate proposals, and the Senate will consider House proposals. During the first half of session, I worked on key issues to improve the Indiana Department of Child Services, enhance school safety and save lives by implementing new sepsis treatment protocols. STATEHOUSE (March 11, 2019) – State Rep. Randy Lyness (R-West Harrison) recently welcomed student pages to the Statehouse. STATEHOUSE (March 8, 2019) – State Rep. Kevin Mahan (R-Hartford City) this week at the Statehouse received the National Federation of Independent Business’ Guardian of Small Business Award. As more businesses choose to set up shop in Indiana and offer high-paying jobs, it is becoming increasingly important to ensure Hoosier students graduate with the skills and experience necessary to enter the workforce. By 2021, it is estimated that our state will need to fill 1 million jobs. In order to prepare for these jobs, students must complete their high school education with the necessary skills and knowledge to obtain a job. 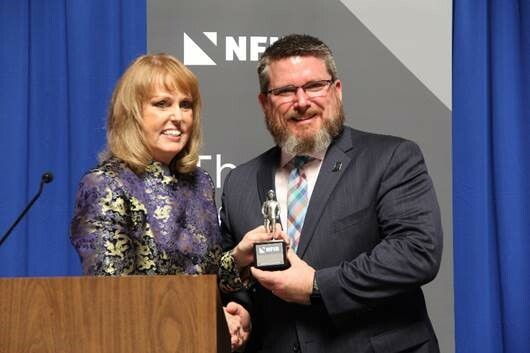 STATEHOUSE (March 8, 2019) – State Rep. Sharon Negele (R-Attica) received the National Federation of Independent Business’ Guardian of Small Business Award recently at the Statehouse in Indianapolis. “As a small-business owner, I understand the effort and dedication that is needed to maintain and grow a business,” Negele said. 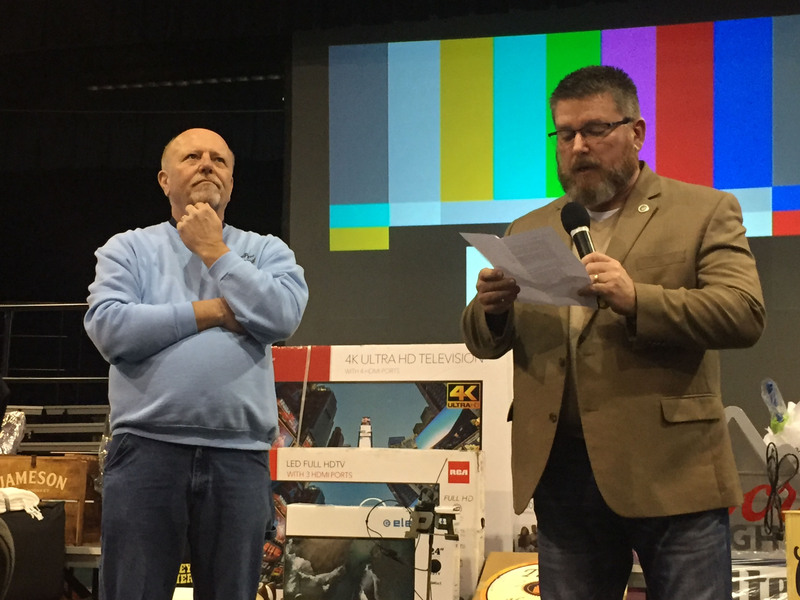 STATEHOUSE (March 7, 2019) – State Rep. Kevin Mahan (R-Hartford City) presented the Circle of Corydon award to Marion native Jay Yeakle for his work helping families of sick children. STATEHOUSE (March 7, 2019) – State Rep. Heath VanNatter (R-Kokomo) received the National Federation of Independent Business’ Guardian of Small Business Award during a presentation ceremony at the Statehouse in Indianapolis. STATEHOUSE (March 6, 2019) – State Rep. Wendy McNamara (R-Evansville) at the Statehouse honored a group of University of Southern Indiana students with a resolution recognizing their accomplishments in building the UNITE CubeSat, a small research satellite.